The industry-leading Manufacturing Technology Centre near Coventry is to launch the first apprenticeships in the UK dedicated to providing the skills needed for additive manufacturing (3D printing). The MTC’s additive manufacturing apprenticeship programmes will provide a pipeline of technicians fully skilled in one of the fastest growing advanced manufacturing technologies in industry. Additive manufacturing, or 3D printing, is now employed across multiple manufacturing sectors in a variety of materials, producing everything from simple tools to major parts for aero engines. 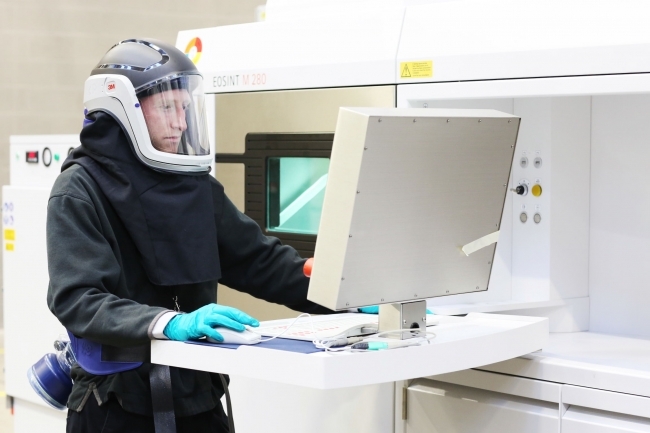 The MTC houses the National Centre for Additive Manufacturing (NCAM) bringing together the most comprehensive combination of equipment and capability in the UK. The MTC’s learning design manager Martin Dury said the new apprenticeship programmes are to be launched in September this year and will address the current shortage of skills in this vital area of advanced manufacturing. “While there are a number of additive training courses currently availabe in the UK, these tend to be focused on equipment use. The MTC is aiming to provide additive manufacturing apprenticeships that will cover the whole range of competences necessary for specific occupations. They will also offer accredited curricula of short courses to enable the up-skilling of existing staff. Anyone with additive manufacturing expertise who would like to contribute to the design of these competency frameworks is invited to contact the MTC at ncamskills@the-mtc.org.